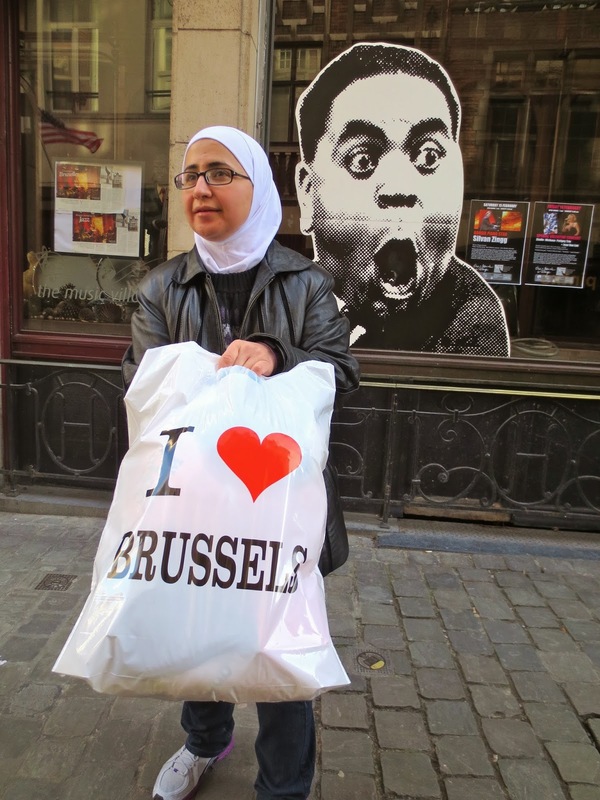 The Travelled Monkey: I HEART Brussels – really? It’s Valentine’s Day but Brussels hasn’t exactly been feeling the love lately as anti-European Union sentiment keeps heating up ahead of EU elections in May. Brussels, as the home of the EU, has become something of a target for extreme (and even some not so extreme) right-wing parties across Europe. Politicians like Geert Wilders of the Netherlands and Marine Le Pen of France no longer need to beat the anti-Islam drum to win votes. They’ve calculated that they can achieve the same goals and win even more votes by posing as euroskeptics. Their thinking goes that, if they get their country to pull out of Europe, they can then impose stricter immigration rules. In other words, they want to take back their country, first from Brussels, then from Muslim and Eastern European immigrants. The big question is: how well will the far-right parties do in May? In many EU member states, the far right has made clear gains in recent national elections. But this doesn’t necessary mean they’ll sweep up big in the European elections. As this Reuters article argues, "only 12 of the 28 EU member states currently have a far right party in their national parliament," and the majority of these are smaller nations with limited seats anyway. Is it the beginning of the end for Europe? I don’t think so, but the increasing popularity of far-right parties does signal a real need for more discussions around integration, immigration, and social participation. Let’s see what happens in May. Who are the far right and what do they want? "Various national populist parties are trying to form an electoral bloc that will give them more power in the next European Parliament, the only directly elected institution of the European Union. Besides the parties of Mr. Wilders and Ms. Le Pen, the bloc already includes Austria’s Freedom Party, Sweden’s Democrats, Italy’s Northern League and Belgium’s Vlaams Belang, centered in Dutch-speaking Flanders. While they are all somewhat different, they are all appealing to nationalism, attracting those upset by immigration, Islam, economic distress and ‘faceless’ bureaucratic dictates from Brussels. The group rejects joining with Hungary’s anti-Semitic party Jobbik or Greece’s semi-fascist Golden Dawn, which have their own anti-Brussels positions." The FN is announced around 30% in France. It should bring the core of the vote for a group at the parliament in Brussels. UK should also bring a good part. This EU is not working but is only a part of the vote. Wanting to replace the states sovereignty by a union federation was a big mistake, even more when decisions are made by unelected technocrats.